The one and only Stereogum has put together a day party called “Range Life” that will take place on Saturday between 1 and 5 p.m. In what (so far?) 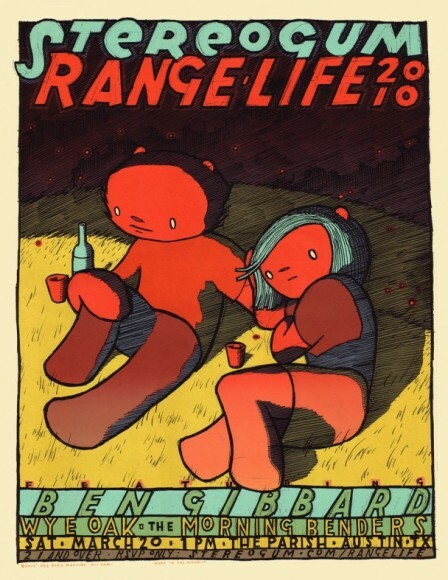 seems to be his only performance of SXSW, Ben Gibbard of Death Cab for Cutie will do a solo set in addition to performances from Wye Oak and The Morning Benders. The party is RSVP only and Stereogum has yet to announce the RSVP info.